One of the top posts of 2013 was All-Time VIX Spike #11 (and a treasure trove of VIX spike data), in which I sliced and diced the twenty largest one-day VIX spikes in the history of the VIX. Nineteen of those spikes were in excess of 30% and with all-time #5 arriving later in 2013 and all-time #15 and #16 following in 2014, I was compelled to comment that despite the seemingly low VIX and concerns about complacency, 2014 Had Third Highest Number of 20% VIX Spikes. Fast forward to the present and for all the talk of a low VIX, some forget that the second day of 2015 had a 28.1% VIX spike and then today, we saw a 34.5% VIX spike, the eleventh largest in the history of the VIX and enough to trigger an update to the table of largest one-day VIX spikes below. Note that based on the data for the 23 VIX spikes in excess of 30%, the SPX has a tendency to outperform its long-term average over the course of the 1, 3 and 5-day periods following the VIX spike. Also worth noting that that 10 and 20 days following the VIX spike, the SPX has a tendency not only to underperform, but decline. Further, while the huge decline following 9/29/2008 VIX spike tends to dwarf the other data points, even when you remove the 9/29/2008 VIX spike it turns out that the SPX still loses money in the 10 and 20-day period following a VIX spike. When the analysis is extended out 50 trading days, the SPX is back to being profitable, but performing below its long-term average. On the other hand, when the analysis includes 100 days following the VIX spike, the SPX is back to outperforming its long-term average. 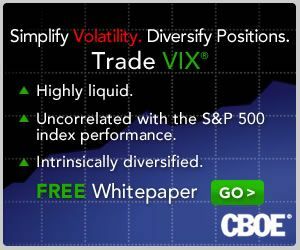 With the caveat that this is a limited data set, it is still worth flagging the pattern in which following a 30% one-day VIX spike, there appears to generally be a tradable oversold condition in stocks that lasts approximately one week, followed by a period of another month or so in which the markets typically has difficulty coming to terms with the threat to stocks. One quarter later, however, all fears are generally in the rear view mirror and stocks are likely to have tacked on significant gains. This type of pattern supports the idea of both short-term and longer-term mean reversion, but calls into question the role of mean reversion in the 10-20 days following a VIX spike, perhaps has fundamental factors begin to win out over a technically oversold condition in stocks. Now that we have a template, let’s see how well it works for the current market environment. Since the events of the day have given all of us a fair amount to think about, I have included a larger than usual number of related and tangential links below for those who wish to do a little extra reading. I have been quiet in this space as of late, but there is nothing like a 34% one-day spike in the VIX to inspire me to dust of the cobwebs and get this place humming again. I will start by updating an old favorite table that invariably is the subject of many requests whenever stocks begin to show signs of a meaningful pullback, as is the case today. Note that the table below includes only pullbacks from all-time highs and only those that go back to the March 2009 bottom. Here 2.75% seems to be a natural cutoff, but I am more apt to include smaller numbers if it took a relatively large number of days to arrive at the bottom. Seen in this light, today’s 2.09% decline in the S&P 500 Index brings the aggregate peak-to-trough decline to 3.7%, but perhaps the most interesting number is that it took a full 27 trading days to realize that 3.7% drop. In fact, no peak-to-trough decline has taken longer to materialize since a pair of 43-day moves from late 2012 that resulted in 8.9% and 10.9% declines. Of course, there is no reason to believe that today is a bottom, but then again, there have been only four longer-lasting pullbacks since the current bull market started over five years ago. Depending upon whether one attributes the current pullback to China, Greece, Puerto Rico or more nebulous factors as valuation, time without a correction, etc. one might draw different conclusions about the path forward. Personally, I see China as the biggest culprit, followed (at least today) by Puerto Rico and then Greece. What concerns me most is that the issues in China and Puerto Rico are no less thorny or difficult to resolve than they are in Greece. In technical analysis, the time for a move to unfold is sometimes almost as important as the magnitude of the move. In another week or so, we should know whether the current price action is just a slow-motion, short and shallow dip or perhaps the first signs of a deeper and more painful countertrend – and the best part is that we don’t even need a referendum to decide the matter.